Each tablet is also known as strings or teas. This fasting is done on the day of starvation in the third part of Shravan month . 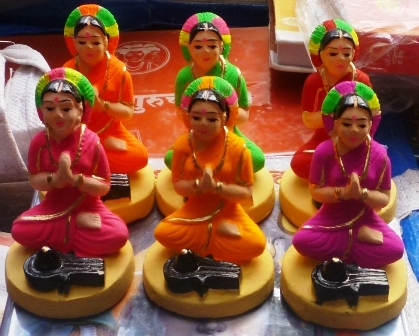 On this day Kumari and sadbhavyaavati women worship Gauri-Shankar. This festival, which is celebrated in Purvanchal and Bihar, especially in Uttar Pradesh, is considered to be difficult than Karvachuth, because where fasting is broken after seeing the moon in Karava Chauth, the fast is celebrated throughout the day and after the worship of the next day Only the fast is broken. One belief associated with this fast is that women who perform this fast go to Shilokan, happily as Parvati ji.